Be it in the North,West, East or South, most of us in the Sub-continent look forward to a good, long "cold" winter. A pleasant forerunner to the coming summer months. For that, we have to keep a continuous watch for those W.Ds and rain bearing systems fromthe west. But, for now, its a no-no, its waiting time. The weather in the Indian Sub-Continent region seems to be heading back to the normal levels. that is, from the recent cold waves and cold foggy days, sems to be heading towards normal winter range temperatures. Reason: the W.D, the rare one this season, has come, precipitated good snow in the hills, some rain in the plains, upto Rajasthan, and gone away. A meek "cold Wave" followed, if I can call it a cold wave. The co;d wave has moved east, and may not be very "effective" in the east. Now, I foresee just about normalcy in the entire northern region, ( Delhi, U.P.,Rajasthan, Gujarat and M.P.) with no W.D. in sight, till the 12th. at least. Till the 12th. normal temperatures in the Northern states, with pleasant nights and , not very severe or intense fogging. And of-course, dry. The hilly states should also remain dry till then, with near normal temperatures. But, for the south, I see a bout of rain approaching from the east. 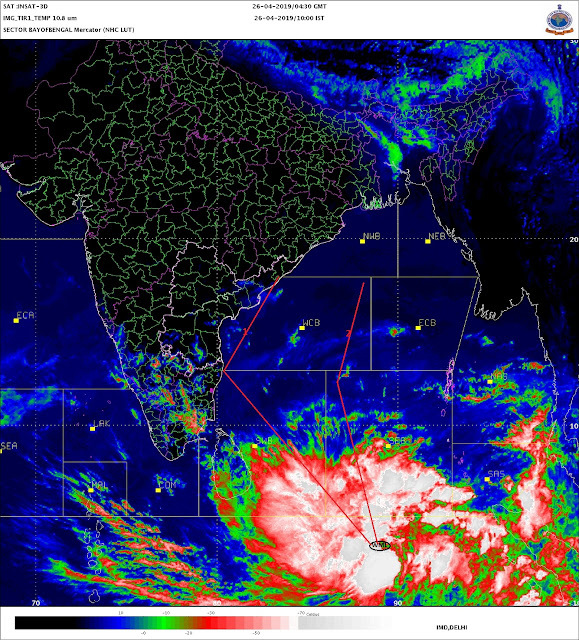 T.N.and Southern Kerala are in for some rain till the weekend. Karnataka and Southern Maharashtra has some rain creeping in subsequently on Monday/Tuesday, i.e. 11th./12th. The precipitation may linger into Pune on Monday. Hence, for all of Maharashtra, and the south, its warm and above above normal from this weekend. But now, for Mumbai, the party's over, for its a temporary "wait again" for the winter, as we see some clouding at the weekend, and a rise in temperatures, with the nights going up to 22-23c. For Mumbai, I would categories a normal winter when the nights would be around the 18-21c range. Below 18c, I would say a good winter for Mumbai. So with the expected 22-23c, its going to be cause to grumble ! While its a "winter break" for the time being here in the sub-continent, tomorrow I'll put up how the Northern Hemisphere is in the grip of an "artic" cold.